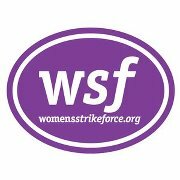 Editorial writer Michelle Washington of The Virginian-Pilot has a column today on Womens Strikeforce. This new organization is making waves across Virginia, as this list shows. Katherine Waddell, a former state delegate from Richmond, considers herself a Republican, a conservative who believes in small government and individual privacy. She worked for Jim Gilmore. She supported George Allen. But legislators who pander to the right wing of the party by encroaching on women’s health and liberty through issues like abortion and birth control force her to reconsider her party affiliation, she said. Waddell, who can be seen in the video below, is not alone. You can contribute to Womens Strike Force here. Previous Post Do we have 3 parties in Virginia?